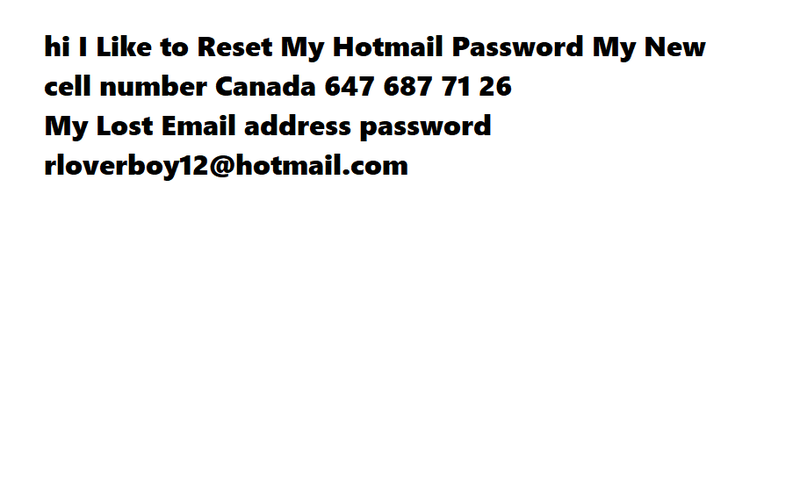 I like to restet my hotmail pass word. On computer secured code come to my cell phone i have a new cell phone now. Hi there, My name is ***** ***** it's a pleasure to be able to assist you here today :) are you ready to get started? Please go to; https://account.live.com/password/reset you can reset it here. And please go to; http://www.justanswer.com/remotedesktop/join.aspx?Session=9f784002-43fd-4883-8299-62431d2e4f02 select "I agree" and then click run. Forgot my pass for my pass word to my new I phone * plus.